Speak Up data featured in this month’s Phi Delta Kappan! For those of you who are members of Phi Delta Kappa, you may have seen the article “The nerdy teacher: Pedagogical identities for a digital age” by Glynda Hull, John Scott, and Jennifer Higgs in this month’s issue of Phi Delta Kappan. The article explains that while future teachers receive courses on educational technologies, there is still room for improvement in such courses and in determining how teachers might best develop “technological pedagogical content knowledge.” The authors advocate improvement by immersing teachers in technology use in the same way that students use technology outside of school. Furthermore, the article features Speak Up data! 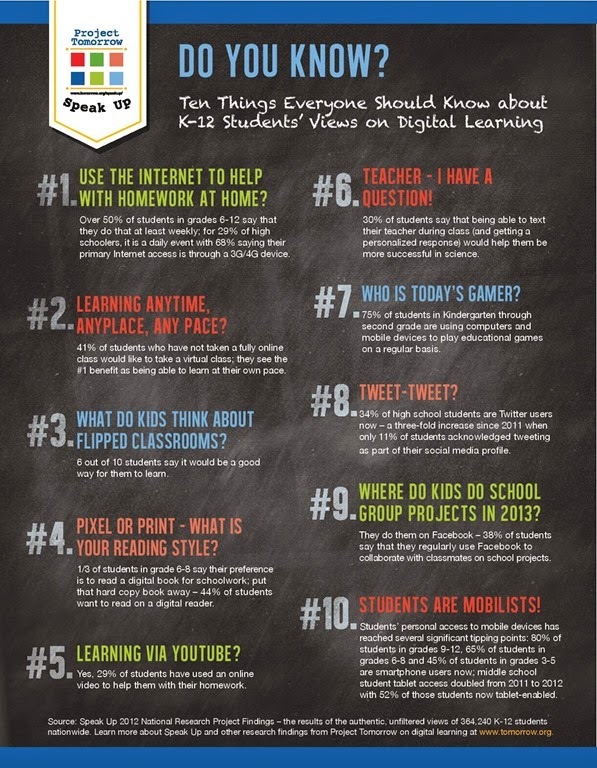 Included is “10 things everyone should know about K-12 students’ views on digital learning” as well as information that students want to use their mobile devices and social media tools throughout their entire day. Phi Delta Kappa members, be on the lookout for the data in this month’s issue of the Kappan! For more information on “The nerdy teacher: Pedagogical identities for a digital age” click here to view the abstract. Click here to learn more about Phi Delta Kappa. Phi Delta Kappa International, publisher of Kappan magazine, is a professional association for educators that brings together the top leaders, thinkers, and doers to collaborate and inspire one another. 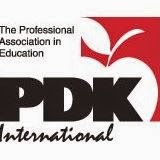 By providing professional learning opportunities, targeted networking, and relevant research, PDK helps researchers and practitioners deepen their expertise, elevate their careers, and ultimately experience better results in their work. This entry was posted in Future Teachers, Kappan, Phi Delta Kappa, Speak Up on April 2, 2014 by project_tomorrow.